Who wants to good when you can be bad? Become the Clown Prince with these Batman Joker Sun-Staches. 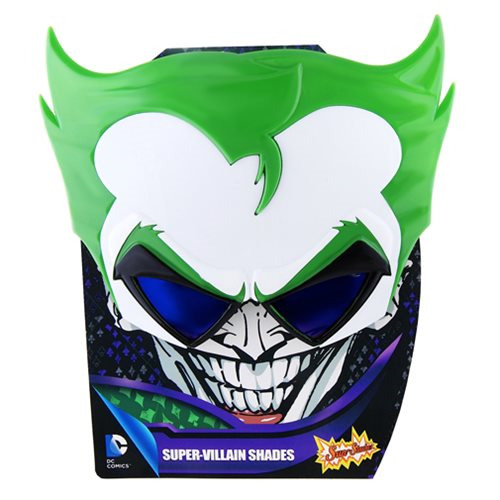 These villainous glasses feature the Joker's iconic green hair and white skin with pointed lenses. Cause some trouble with these Batman Joker Sun-Staches! One size fits most and all Sun-Staches provide 100% UV400 protection. Measures approximately 7 1/2-inches wide by 6-inches tall. Ages 14 and up.